This recording is part of the Tom Vater Collection (C799) at the British Library. 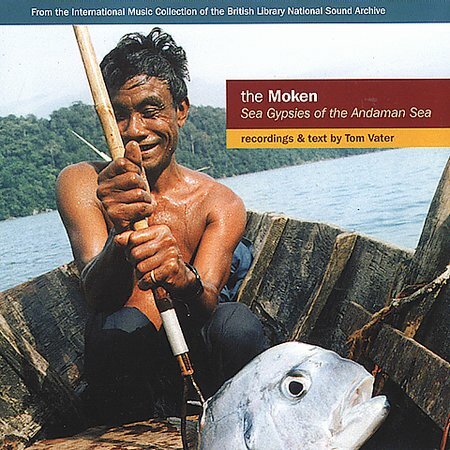 A longer extract has been published on The Moken: sea gypsies of the Andaman Sea (Topic Records TSCD919, 2001). The full collection also includes recordings from India, Laos and Cambodia. It will be digitally preserved as part of the Unlocking our Sound Heritage project. Ko Surin is a group of five small islands in the Andaman Sea, sixty kilometres off the Thai coast. They are entirely covered in primary rain forests, with two small villages inhabited by Moken communities of roughly 160 people. The Moken used to live almost entirely on their boats as they travelled in the seas between Thailand and Myanmar. These days they have been forced to settle on the islands where they have built small huts standing in rows on stilts in the surf. Tom Vater (sound recordist and writer) and Aroon Thaewchatturat (photographer), during their research stay on Ko Surin Nua in 1999, became part of a campfire singsong. The songs, lead by Tawan and Ko Yang (two women singers) accompanying themselves on a single plastic barrel, told of their daily experiences and of their relationships with one another. This song, lu iu ma iu (brother and brother) is a good example. Many thanks to Dr Janet Topp Fargion, Lead Curator of World and Traditional Music and Aroon Thaewchatturat.